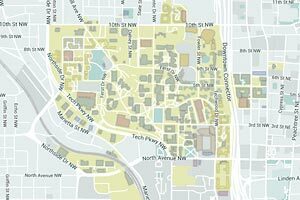 Georgia Tech is advancing its strategic vision in exciting and impressive ways. How can OUE play a leadership role in this advance? By continuous exercise of leadership, from the Office of the Vice Provost across all units of OUE, to advance the quality of undergraduate education and the academic success of our students. OUE 2020 is chaired by Dr. Roberta Berry (pictured left), Director of the Georgia Tech Honors Program, and its membership includes professional staff drawn from every unit of OUE. The membership brings diverse perspectives drawn from experience in these units to its unified committee charge: to identify, select, and implement policies guided by these three themes by the close of 2019. 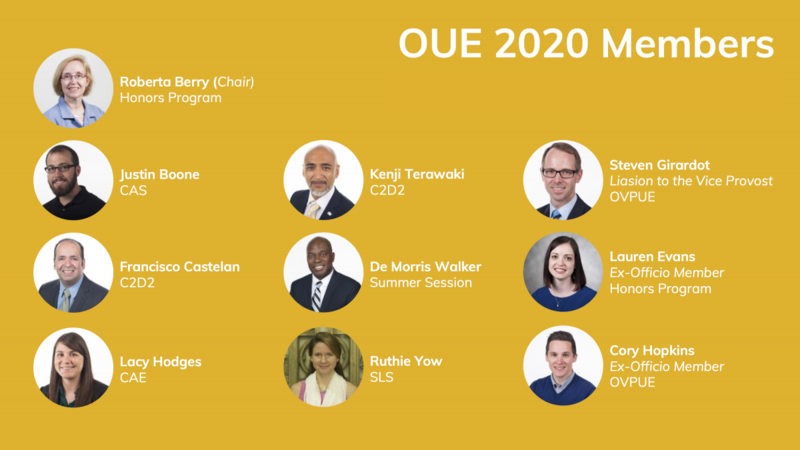 The success of OUE 2020 requires input, counsel, and engagement by the entire OUE community. Committee members will invite contributions from their OUE units, and the committee will update the OUE community via this website and semi-annual OUE Town Halls. Successful implementation of policies to advance the OUE mission will be a joint effort and accomplishment of the entire OUE community. On March 14th, OUE 2020 hosted a problem-solving exercise with several members of the OVPUE professional staff. Read more.